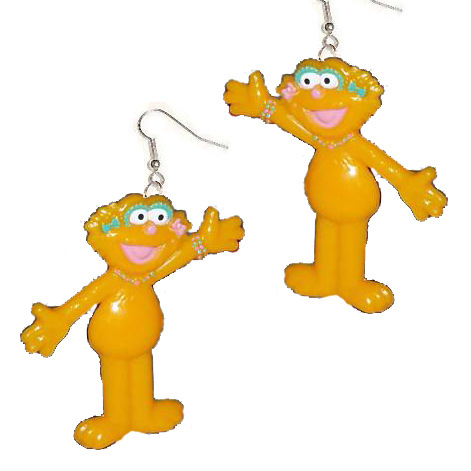 Big Dangle ZOE FUNKY EARRINGS - Sesame Street Cute Yellow Girl Muppet Monster TV Character Fun Costume Jewelry - Large Yellow Plastic 1/2-Dimensional Charms, (flat-back). *Please note dimensions: each approx. 2-inch tall x 1-inch wide. Great teacher gift!